I am reworking the design to the handouts for a workshop I’ve titled, Rocks 101. There are a few classes I have put together over the years, based on what I know and deem to be true. Rocks, minerals, stones, gems… whatever you would like to call them, I love them so. Many friends and family know me as the rock go-to girl and I’m always looking to learn more to better serve. Allas the rock workshops I have attended left me disappointed with no new knowledge or deeper understanding. I don’t mind spending money or traveling but it has to be worth the effort. On all my drives home, I would start to replay the workshop and add or take out parts to make it worth my time. If these people are pitching rock info, why do I feel ripped off? What could be done differently ensuring everyone attending would leave knowing more and reflecting on how it was money well spent. Sure one might detect a hint of arrogance in that statement but it’s unintentional. Another way to word my thought is, “I can teach people about rocks in a way where learning will be more comprehendible and improve ones abilities to understand the mineral kingdom.” After complaining on how the workshops I attended were lack luster, my teacher (for many metaphysical studies) said to me, “You should create a rock workshop” and that was enough to push me to doing so. Keeping the material familiar enough, making sure the people will remember the names of the stones was the first task to tackle. Birthstones seemed the best way to go about revisiting many common names. 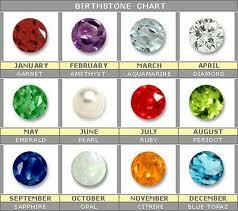 My research proved there are many takes on 12 gemstones corresponding with the months of the year. Once I settled on a grouping, it was a matter of getting the minerals. I wanted to have the guests be able to hold each of the minerals being discussed. After all, a hands on approach is one of the best ways to learn about a subject. Using all of our senses would help the information get absorbed in a deeper way. I was able to obtain the majority of stones but a few gems I ask the participants to bring from home. 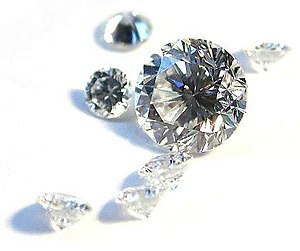 I wish I had enough money to pass around diamonds! Handouts are one of my favorite things to receive when attending a workshop. The presentations I give have some great take homes and the Rocks 101 is no exception. A 16 page booklet has been designed and created with all sorts of history and lore, facts and beliefs. It’s not the 8×11 paper folded in half type of booklet but each page is standard letter size, stapled in the corner. The layout is baby bear style, not too much and not too little, just the right amount. There is a nifty glossary and a rockin’ reference ensuring future questions get answered or guidance to another path to find the answer. My teacher has listened to this presentation twice since I developed it 3 years ago and is hinting at a Rocks 201. I will have to let her know I’ve reworked the handouts and give her a new booklet. Maybe some point this year I will start formulating the next level workshop. As of now, towards the end of June, Rocks 101 is scheduled for a road trip making it the first time I’m traveling with the kids (cute way of saying rocks). I’m excited to share my knowledge with others and witness what they pick up from the minerals. Discussion and insight is another component I like my workshops to have. From rereading all of the booklet’s pages I’m learning more information and become more familiar with the stones to be presented. I look forward to further insight the people attending the class are privy to and growing my knowledge along with them. I love rocks.